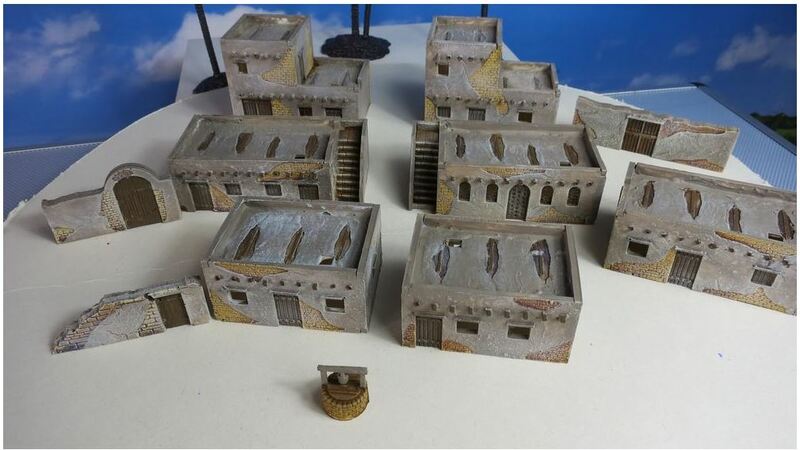 Najelwitz Modellbau – one of my favourite producers of resin scenery – have just released a new set of 15mm desert terrain, which might possibly tie in with another 15mm World War II box set that has been released, who can say? The set contains seven buildings, a few walls with gates and a well – just what you need to build a village in the desert. This set is available unpainted for 38 EUR. Alternatively, you can order a set fully assembled and painted for 76 EUR.